Our firm's attorneys have obtained monetary settlements in excess of $1,000,000.00 for victims of safe deposit box robberies. Most of our clients were initially denied payment by their banks. Banks often attempt to escape liability by claiming our clients "should have had personal insurance." Some banks also claim they are not liable for losses resulting from robberies of contents of safe deposit boxes by citing various sections of contracts that presumably prevents them from being liable. Our law firm's attorneys has represented victims of safe deposit box robberies that occurred at multiple bank locations in Queens, Brooklyn and New York. Our attorneys understand the law specific to safe deposit box cases and have filed several Federal lawsuits (all which eventually settled) when banks refused to pay our the clients. Our firm represents victims of safe deposit box robberies on a contingency basis - our clients do not pay a legal fee unless we recover money for them. ​REGO PARK, Queens (WABC) -- A Queens bank appears to have burglarized by thieves who cut a hole in the roof over the weekend, and police believe it could be connected to others in New York City area. Sadly, by now the cops are used to this. And for hours Monday night, they searched for any shred of evidence after yet another daring heist. 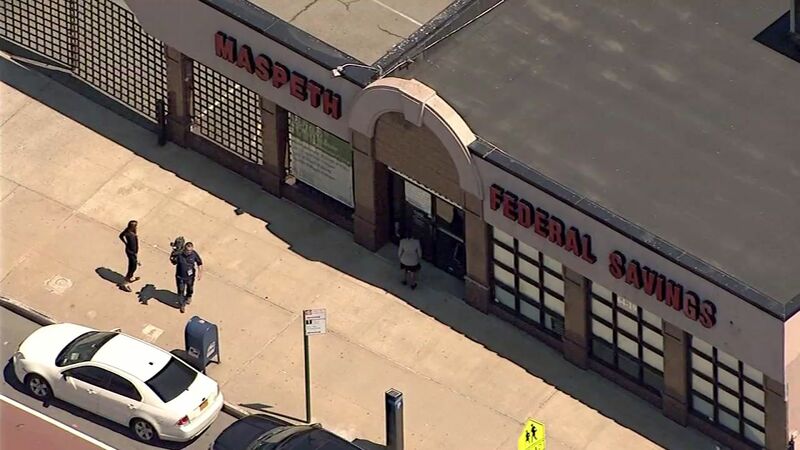 An employee discovered the large hole in the roof at the Maspeth Federal Savings bank on Woodhaven Boulevard in Rego Park upon arriving just before 8:30 a.m. Monday. My experience with this Law Firm couldn't have been better, It almost felt unreal. The line of communication between Jeanne and I was more than what was expected from Day 1. I was never out of the look on anything and what I like most was the passion Jeanne had for my case. I hope I don't ever need an attorney again but if I do, I know where to go. They went above and beyond for me. Thanks, much appreciated. Mr. Vincent Imbesi was very thorough during our initial phone consultation which kept me calm even though I was a bit apprehensive about the process of seeking legal help due to prior negative experiences with different Law Firms. I had an awesome experience during every visit to Imbesi Christensen. Thus far in my legal battle we have had very positive results and I am confident that their hard work will continue to produce positive results. The firm has also been very responsive to any questions or concerns that I brought up and always seem happy to address them. Mr. Imbesi has a very calm demeanor that makes me feel relaxed and welcomed. The staff was extremely pleasant and the wait time short. His staff including Marsha and Steven have been very genuine and understanding of my case and I have full faith that they will do their very best to represent me and put their best effort to have a positive outcome. This was hands down the best experience I've had with a law firm or any legal team for that matter. I highly recommend them! Handled my case with extreme care. Was referred by a friend so I was a bit hesitant. Once we got the lawsuit filed, things moved quickly. I lost my job at a large broker dealer as a Financial Advisor after earning a promotion, and I can only speculate publicly as to the reason. However, I called and spoke with Vincent briefly (or not so briefly, I was fairly upset), and Brittany Weiner became my lawyer. I was between a rock and a hard place because my spouse is a wounded veteran, and my stepson also lives with us full-time, with all the pressure being on me to provide. Unfortunately, it's difficult to even sell insurance with a mark on your U5, false or not, so I was thankful for the assistance with my issue. A FINRA panel expunged my record, corrected the false "Yes", and rephrased the remaining sentence to more accurately reflect what happened. Granted, I'm still waiting on a court order from the NY Supreme court to change the publicly visible record, but at least now I have something to show potential employers that works in my favor. Ms. Weiner was very patient with me as well, given that I lived in Dubai and Shanghai during the year-long process, and was often on a different time zone, had difficulty accessing my email accounts due to government bans on communication methods, and was often buried in consulting work as I completed my MBA. My hearing was held on the telephone, and I was not forced to travel back and forth during my work as well, which saved my life. Given that the way I found the firm was to google law firms that have won against said large broker dealer, I really threw up a prayer and won this time, and I am very thankful for Ms. Weiner and Mr. Imbesi for taking up my case. PRLog - June 16, 2015 - NEW YORK -- Imbesi Law P.C., has filed a lawsuit in the Supreme Court of the State of New York against Flushing Financial Corporation (NASDAQ: FFIC) The lawsuit alleges that Flushing Bank was negligent in securing the contents stored in the safe deposit box leased by the Plaintiff. The complaint alleges that the Flushing Bank branch located at 42-11 Bell Blvd, Bayside, New York, had been broken into and the contents of multiple safe deposit boxes had been stolen. According to news reports police said the burglars broke in through the wall of an adjacent business, using power tools to get into the bank and then accessed the bank’s safe deposit vault, stealing items from multiple safe deposit boxes. The lawsuit alleges that Flushing Bank was negligent and grossly negligent in its failure to properly secure the items stored in the Plaintiff’s safe deposit box. The complaint also alleges that Flushing Bank breached its contract with the Plaintiff, which resulted in a loss. Any information regarding the subject Flushing Bank safe deposit box robbery should be disclosed to the police. Our firm represents clients who were victims of various types of financial fraud, including safe deposit box thefts. In most cases, clients do not pay a legal fee unless money is recovered. Prior results do not guarantee future success. The law firm Imbesi Law P.C., filed a lawsuit on behalf of a client against Santander Holdings USA, Inc., that alleges the contents stored in a safe deposit box maintained at the branch located at 23-57 86th Street in Brooklyn, New York, were stolen. PRLog - May 22, 2015 - NEW YORK -- Imbesi Law P.C. has filed a lawsuit in the Supreme Court of the State of New York against Santander Holdings USA, Inc. The lawsuit, Corrales v. Santander Holdings USA, Inc., alleges that Santander Holdings USA, Inc. ("Santander Bank") was negligent in securing the contents stored in the safe deposit box leased by the Plaintiff. The complaint alleges that the Santander Bank branch located at 23-57 86th Street in Brooklyn, New York, had been broken into and the contents of multiple safe deposit boxes had been stolen. According to news reports Police said the burglars broke in through the basement of an empty business next door, using power tools to get into the bank and then accessed the bank’s safe deposit vault, stealing items from multiple safe deposit boxes. The lawsuit alleges that Santander Bank was negligent and grossly negligent in its failure to properly secure the items stored in the Plaintiff’s safe deposit box. The complaint also alleges that Santander Bank breached its contract with the Plaintiff, which resulted in a loss. Any information regarding the subject Santander Bank robbery should be disclosed to the police. Our firm represents clients who were victims of various types of financial fraud, including safe deposit box thefts. In most cases, clients do not pay a legal fee unless money is recovered. Prior results do not guarantee future success. The law firm Imbesi Law P.C., is investigating potential legal claims on behalf of safe deposit box owners that had their items stolen from the HSBC Bank branch located in Borough Park, Brooklyn. MANHATTAN, N.Y. - April 12, 2016 - PRLog -- The attorneys at the law firm of Imbesi Law P.C., have recovered millions of dollars for their clients, including victims of multiple bank robberies who had the contents of their safe deposit boxes stolen. The HSBC Bank safe deposit box robbery occurred in April of 2016, according to various reports. Safe deposit box robbery victims, including the HSBC Bank safe deposit box victims, could face initial resistance from the banks, which often claim victims were required to maintain personal insurance. 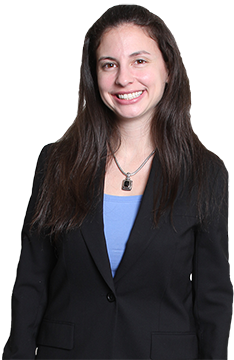 "The law regarding safe deposit box robberies is very technical," said Brittany Weiner, one of the partners of the law firm Imbesi Law P.C., that represents victims of safe deposit box robberies. Ms. Weiner added, "Most banks initially inform victims that they were required to maintain their own personal insurance in an attempt to scare victims from pursuing legal action." While most contracts may have the mandatory insurance provision, Ms. Weiner claimed that banks can and have been held liable for their negligence regardless of the personal insurance requirement. Ms. Weiner cautions victims of safe deposit box robberies, including victims of HSBC Bank, that they should consult an attorney experienced in safe deposit box robbery law because banks often attempt to obtain written statements from unsuspecting victims which could cause them to give up legal rights unknowingly. Ms. Weiner offers free initial consultations to any victims of safe deposit box robberies, including those affected by the HSBC Bank safe deposit box robbery in Brooklyn, New York. The firm represents most clients on a contingency basis; victims do not have to pay a legal fee unless they receive compensation. Ms. Weiner's telephone number is 646-380-9555. Her email address is brittany@lawicm.com. BOROUGH PARK, Brooklyn - Police are trying to figure out how more than $280,000 was stolen from a Brooklyn bank over the weekend in a burglary that could have been out of a movie. When employees at the HSBC Bank on 13th Avenue in Borough Park opened for business Monday morning, they found a large hole in the ceiling over a vault. Authorities are trying to figure out how the culprits managed to break in without being caught on surveillance camera. Police say more than $280,000 was stolen along with content from several safe deposit boxes. It's unknown what was inside the safe deposit boxes. The bank closed Friday afternoon for Shabbat and remained closed until Monday morning. The streets of Borough Park were quiet Friday and Saturday as the predominately Orthodox Jewish community observed the Sabbath. Police discovered a ladder on the roof. Sources tell PIX11 that the bank's alarm was broken. "We Know Safe Deposit Box Law"
REGO PARK, Queens (WABC) -- A Queens bank appears to have burglarized by thieves who cut a hole in the roof over the weekend, and police believe it could be connected to others in New York City area. "There's wood on the roof and they cut through the metal and directly underneath there they go after the safety deposit boxes normally, this crew," said Chief Robert Boyce, NYPD Detectives Bureau.